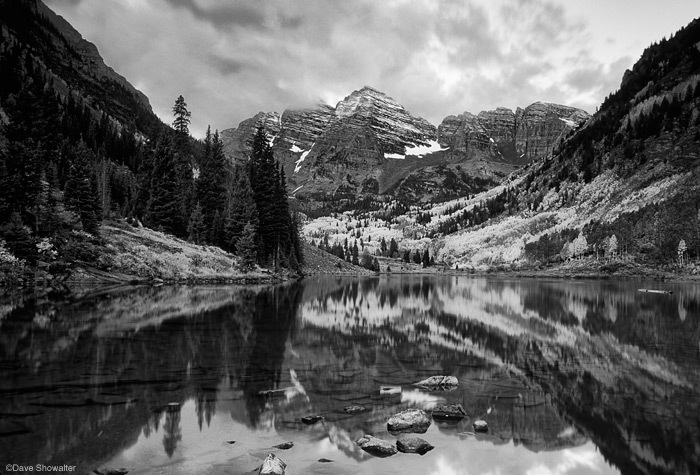 The classic Maroon Bells scene converted to black and white. At peak fall color, the aspen grove at the end of Maroon Lake adds contrast to the forest below the peaks. Photo © copyright by Dave Showalter.